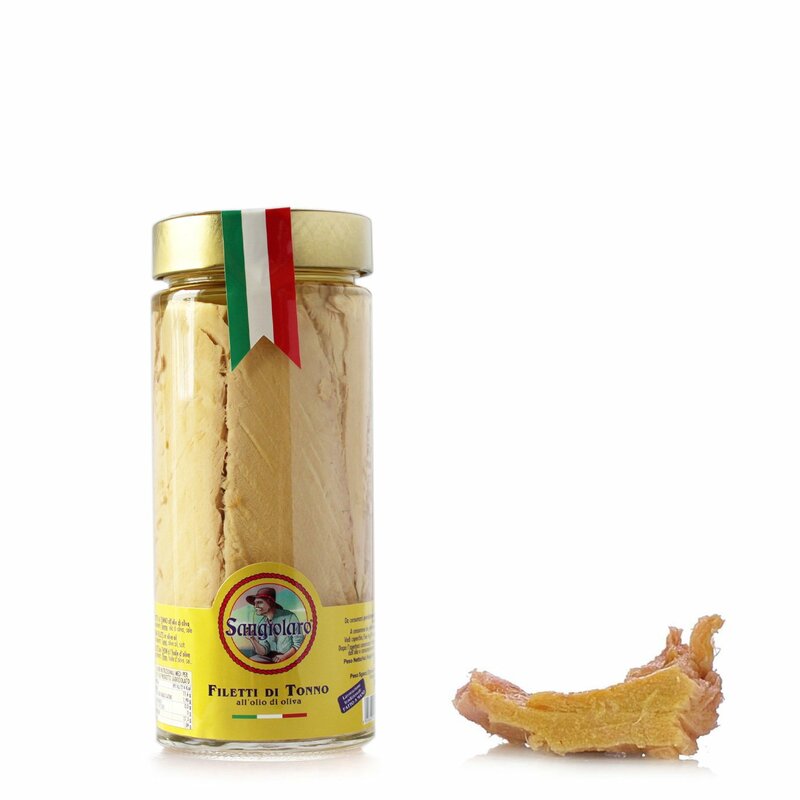 The tuna fillet from Sangiolaro is a product fished in the Mediterranean Sea, then steamed, selecting only the lean and firm parts and conserved in oil. The company's production is based on antique methods for processing fish, able to enhance the quality and genuineness, and for this they personally follow the recovery and growth of artisan conservation activities, in order to offer the modern consumer products that are typical and genuine, in respect of antique traditions. Ideal if eaten alone or as a condiment for delicious pasta dishes. Ingredients Tuna, olive oil, salt. Allergens: fish (ingredient) For more information on product labels, please contact our Customer Service department. The information on the labels of the products may vary for reasons beyond our control, therefore, there may be discrepancies between the information on the site and that on the products delivered. Please always check the information on the product before consumption or use. The Ghezzi family, which has been active in conserving fish since the 40's, offers products obtained using the best ingredients, above all Mediterranean tuna. Fished only from the end of May to the first half of June and processed fresh, it releases the best qualities of this particularly flavourful fish. Also the anchovies are exceptional, which after slowly maturing are filleted individually and placed by expert hands into glass jars. Eataly has selected Sangiolaro because, as always, it wants to offer only the best.